I’m going to be at NC ComicCon this weekend! 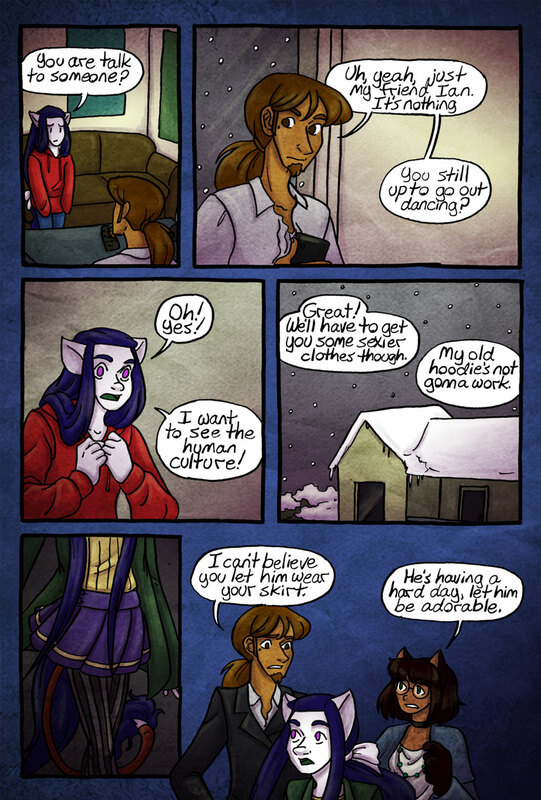 D’aw, two cute pages in a row. I can’t wait to see the human culture. Let’s all give Cynthia a big hand for once again being the fandom’s enabler. when a man wears it, it’s a kilt. Hey a tail sock, and oh my gosh he’s cute!